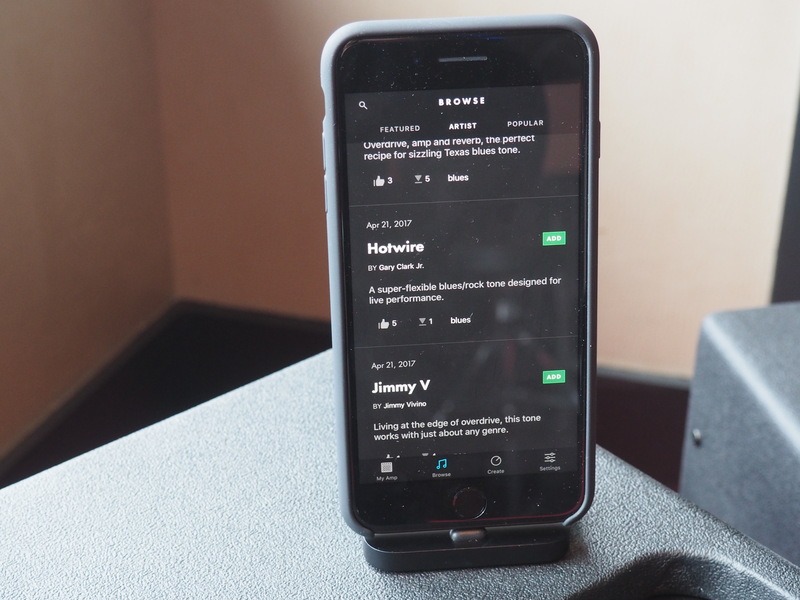 Fender’s second app, Tone, is far more ambitious than its predecessor. In fact, it’s the first smartphone app I can recall that’s launched alongside a trio of amplifiers. It’s not necessary to operate them, of course, but it’s certainly a big part of their appeal, opening up access to a seemingly infinite range of guitar tones in the way only a smartphone can. 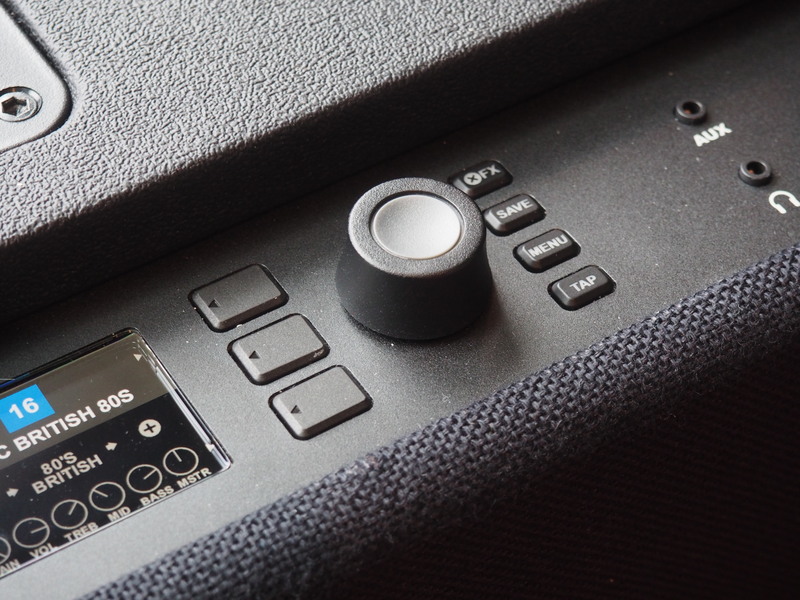 The new range of Mustang GTs are the company’s long-promised connected amps, with WiFi and Bluetooth built in. This sort of smart functionality is inevitable, of course. It’s 2017. Everything is connected. It’s the internet of things, man. We’re just living in it. But Fender’s done a good job of integrating that functionality in a way that is legitimately useful without encroaching on the overall spirit of the product and company. Fender’s been more aggressive on the technology front over the past couple of years, but the company’s approach has still been fairly cautious. Last year it launched a set of in-ear monitors, its first foray outside of its comfort zone of guitars/amps. The company also launched Fender Tune, its first mobile app, a fairly unambitious guitar tuner. If you’re Fender, you don’t want to rock the boat too much when it comes to introducing new technology, and certainly delivering this sort of functionality across its line would be out of the question. Part of the company’s lasting appeal has been its commitment to the technologies that help make the company guitar powerhouse in the first place. The Mustang line is a no-brainer starting point for introducing this tech. The amps are already digital, marking a departure from the company’s traditional tube models and open it up to a far broader spectrum of sounds without the need for an external source like a pedal or board. The amps themselves have a fair number of presets built in that are accessible by scrolling through a list on a small color display next to the controls. 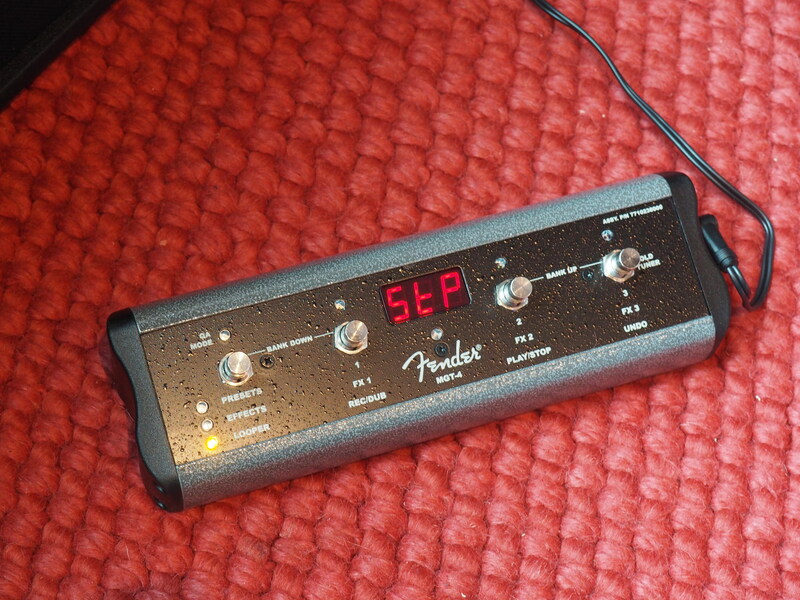 From there, users can choose from a number of settings designed to mimic existing Fender amp setups. The list can be augmented through an online portal as well, so users don’t have to fiddle with their phone. But it’s the app that really unlocks the breadth of potential sounds, including artists specific sounds that cover a pretty broad spectrum, from the Red Hot Chili Peppers and Anthrax to Indie darlings like Death Cab For Cutie and Best Coast. And the upside of running everything through the app is that the company can continually update the offerings (and, one expects, eventually serve of premium content). The line starts at a reasonable $249 for a small table top model. It’s easy to see how that price point and the flexibility of sound could make the amp extremely appealing to those just starting out. As a lifelong beginner myself, I can speak to what a pain and expense fiddling with effects pedals is when you’re just starting out, and this combo goes a ways toward bringing players closer to the sounds they’re striving for. And honestly, in the demo I got earlier this week, the setup actually sounded pretty good. Unsurprisingly, a huge part of Fender’s sales come from beginners, because picking up and ultimately giving up on an instrument is a sort of right of passage. Of course, these aren’t pro amps, really. And you aren’t going to get the rich, full sound you’ll get with a full tube amp and all of the requisite pedals. The Mustang’s best suited for practice spaces, though the larger models could potentially be used for gigging if you’re playing down at the pub. There’s also USB out on each of the amps, so you can run them straight into GarageBand for demos. I have to admit, I was pretty wary when I first heard that one of the most trusted names in the guitar industry was wading into the internet of things, but the connected Mustang series manages to use smart functionality to improve upon the experience and open up the possibilities inherent of a small amp, rather than just jamming in a technology for the sake of staying current. The app is available now as a free download, and the Mustang amps will be hitting larger music retailers this week.